Our signature ribbed jumper never goes out of style, it is designed in a new season colourway, side splits and a dipped hem for the extra cool factor. Wear with peg leg trousers for an relaxed look. 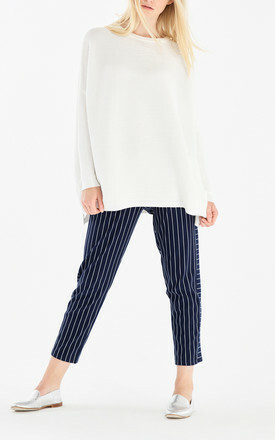 The hem on this jumper has been updated for this season and it has a shorter back dip and a shorter side split.